Imagine if Don Quixote was a JRPG and the title character really was fighting giants while everyone else saw windmills. That game exists and it is Tales of Zestiria. Tales of Zestiria is the story of Sorey, a young man who grew up not in a village of humans, but a village of the spirit-like “seraphim.” Because of his unique upbringing, he has the ability to become a “Shepherd”—a legendary hero who acts as the bridge between human and seraphim. The other part of his calling is to battle against the “hellions”—evil spirits created by mankind's negative emotions that possess people and animals. Only a Shepherd can defeat a hellion and banish it from its unfortunate host. Much like Don Quixote and tales of chivalrous knights, Sorey has fallen love with stories of the Shepherds and tries to live up to his idealized version of them. So as the world's only Shepard, he takes eagerly up the quest to save the world from the hellions. And while some people see the state of the world and are willing to put their faith in Sorey, more than a few question that he truly is a person out of legend—rather than a lair or a loon. However, Sorey is not alone in his journey. His best friend, the ever-serious water seraph Mikleo is with him even before the adventure begins. The pair soon joins up with Alisha, the princess of a kingdom where royalty is largely symbolic, who has become a knight in order to help her people through troubled times. From there, the cast includes Lailah, a fire seraph who is quite literally both the Lady of the Lake and the Sword in the Stone; Edna, an earth seraph who is basically Toph from Avatar: The Last Airbender; Dezel and Zaveid, two wind seraphim who have a past connection to one another; and Rose, a soldier-turned-assassin who also has the potential to become a Shepherd. Tales of Zestiria is not quite as epic in scale as past Tales titles. While the fate of the world most certainly hangs in the balance, the action is focused on a small area of the world—much like in the Tales of Xillia games. Tales of Zestiria takes place on a continent where two countries are on the edge of war: the Hyland Kingdom (Alisha's kingdom) and the Rolance Empire. While antagonistic in the past, the problems between the two countries during the game are largely due to the growing amounts of hellions possessing people and bringing out the worst in them. Much of the conflict in the plot centers around the fine line Sorey and his companions are trying to walk. A Shepherd has tremendous powers and is largely unstoppable on the battlefield. It is no wonder he is sought after as a weapon by both sides. 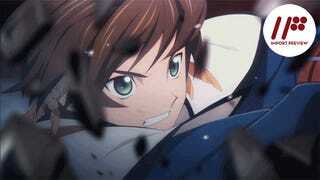 However, Sorey's calling is to defeat the hellions no matter where they are—not to interfere in a war between humans. This leads the party to be on what amounts to a third side in this conflict, helping both sides with their hellion problems while trying to avoid being used in the war between the two. Of course, this is easier said than done as Sorey personally wants nothing more than to see peace between the two nations. The other interesting note about the story and setting are the seraphim and hellions themselves. As spirits, they cannot be seen by normal humans. Only those with great spiritual power—like Sorey and Rose—or those who become disciples of a Shepherd—like Alisha—can see them. This means, for all rights and purposes, five of the game's eight party members are invisible. Whenever Sorey is talking with one of the seraphim party members while Rose and Alisha are absent, it looks to an outsider like Sorey is talking to imaginary people. Likewise in battle, Sorey, Rose, and Alisha see hellion-possessed people and animals as monsters. To everyone else, they look completely normal. For all the average person knows, Sorey is Don Quixote tilting at windmills. The game presents this dichotomy excellently. Most of the time, we see the world as Sorey sees it, but every once in a while we are treated to how the rest of the world sees things. In one scene, a group of soldiers try to stop Sorey walking across a battlefield. While looking completely normal, he seems to be able to attack people without even hitting them with his sword. However, from Sorey's point of view and we see him merged with one of his seraphim companions and holding a different—and much larger—weapon. All in all, this switching between how the party sees the world and how everyone else sees it makes for a neat storytelling twist as well as a visually entertaining one. In battle, however, we always see the world as Sorey sees it, full monsters out of fantasy. The basic gameplay in Tales of Zestiria is similar to past Tales games—though with a few new twists. The traditional RPG magic system is gone. Now all attacks—both normal and special—use some amount of energy. Defending or doing nothing for a few seconds is enough to recover all your energy and go back on the attack. Thus this game has a quite different pace than many past Tales games as you can't relentlessly go on the attack. The other big addition is the game's character fusion system. Both Sorey and Rose are able to merge with any of the spirit characters. These fusion forms are incredibly powerful and can easily lay waste to large groups of enemies in short order with massive magical skills and unique weapons. From the moment fusion became an option, I spent the vast majority of battles that way. I only stayed un-fused in order to stock up on more “BG” (the energy required for fusion and ultimate attacks). However, as powerful as they are, the fusion forms have a major weakness—they are terrible at healing. While each fusion form has a heal spell of some sort, they all take BG to use instead of the normal battle energy. For me, the best way of playing was to fuse with one character while the other two remained un-fused and capable of healing. It worked quite well in general. Unfortunately, all fusion forms are not created equal. While all do occasionally have their uses, the fire form (with its giant sword and air-juggling spells) and the water form (with its giant bow for powerful ranged attacks) are far superior to the other two. Because only Sorey and Rose can fuse with every spirit, they are both excellent characters to play as. Conversely, playing as any of the other characters is giving yourself a massive handicap—much like how playing as any character other than Ludger in Tales of Xillia 2 was one. So while I did experiment with all the different characters (and found most fun to play), losing the ability to merge into any elemental form at will was too great a drawback to accept for any meaningful length of time. However, from the moment Rose joined my party to the end of the game, I chose to play her in battle instead of Sorey. While both are similar—Sorey using a long sword and Rose using dual daggers—Rose has the greater speed and attack power while Sorey has the greater defense. That said, there is a lot of possible customization to boost the battle prowess of any character. The world is full of herbs which permanently boost a given stat. There are also numerous small seraphim to find who will add a special upgrade to any weapon or armor. You can also get these upgrades by merging two of the same weapon or armor—which conveniently increases the equipment’s basic stats as well. And trust me, you'll need every advantage you can get to battle the numerous optional mini-bosses spread throughout the world. If there is a downside to Tales of Zestiria, it is a graphical one. In battle and cutscenes, everything is smooth regardless of how flashy the battles get. However, when walking around the world map or cities, any moving NPC or creature at any sort of distance from your character looks terrible. Their animation frame rate drops to a jerky few frames a second. In addition to this, the camera is more than a little finicky in tight places. It can zoom in so close you can't see your own character, much less what is going on. These flaws are a stain on an otherwise good-looking game. With the numerous changes to both the gameplay and story formula, Tales of Zestiria is a game that is just fun to play. Over the nearly 45 hours it took to finish, the battles were always engaging and it never felt like a time-wasting slog. The plot isn't the most epic in scale, but it is full of interesting characters and the Don Quixote aspect of the story is endlessly entertaining. It is simply a solid RPG in this, the PlayStation 3's twilight years. Tales of Zestiria was released in Japan on January 22, 2015. It is scheduled for a Western release sometime later this year. To contact the author of this post, write to BiggestinJapan@gmail.com or find him on Twitter@BiggestinJapan.